Define Gothic and Dracula immediately comes to mind. The high-arches and cobwebs, the creatures that scurry across the floor and the long drapes that falls from the ceilings – blood on the tips of fangs and white-skin like moonlight in the night. 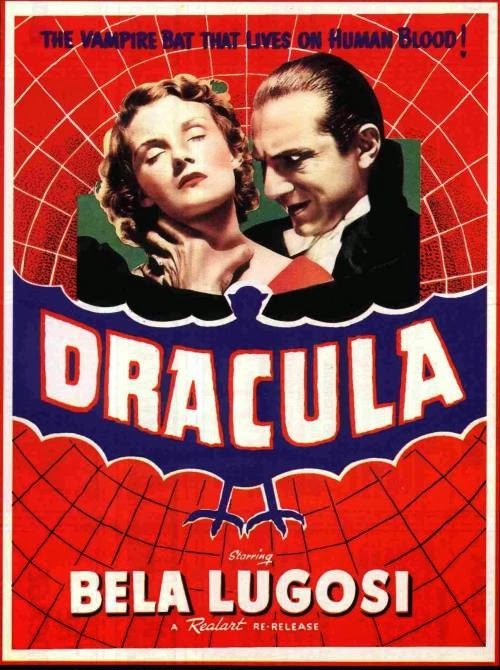 Kim Newman goes as far to state that 1931’s Dracula this “was the true beginning of the horror film as a distinct genre and the vampire movie as its most popular sub-genre”. Indeed, only in this month’s Empire magazine, they have noted how 31 actors have portrayed the fanged-villain – and Bela Lugosi’s unforgettable performance surely remains the most defining portrayal. The double bill of Dracula and The Mummy may initially appear to be connected by their supernatural content alone, but the Universal Horror films are joined by their mutual understanding of how to scare the audience, their measured style of writing and the use of recurring character actors. F.W. Murnau’s silent Nosferatu is an unofficial version of Count Dracula and the stories remain the same. A man, Renford (Dwight Frye), travels to Transylvania to attend a meeting with the Count (Bela Lugosi), to the horror of the native Transylvanians. Renford’s purpose is to sign-off the deeds to Carfax Abbey in England to Dracula, as the night-dweller intends to move to London. Though unafraid by the superstitions, Renford becomes victim to Dracula and his ghostly women and becomes a crazed vampire himself. Now, with the assistance of (blood-sucker of small insects) Renford, Dracula travels to London by ship, killing off the sailors in their journey. Renford almost steals the show as his sinister laugh reveals a complete lack of sanity. Combined with his desperate hissing for appreciation from his “Ma-a-aster”, Renford is under Dracula’s spell. The major bonus in the final act is in Edward Van Sloan’s ‘Van Helsing’. A man of reason and intellect, he clarifies to the audience what needs to be done: Dracula needs to be impaled on a stake, a crucifix to be used as a weapon, note the missing reflection in the mirror. Van Helsing, we know, will take us into the light. 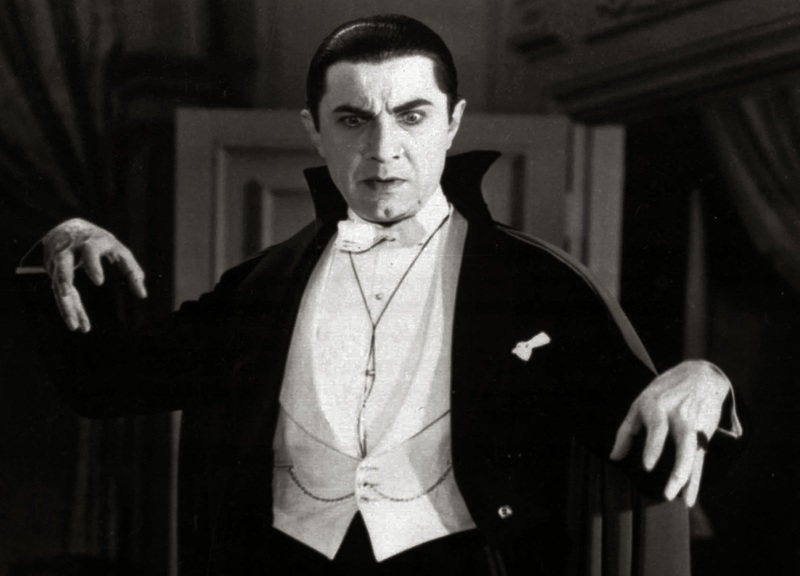 Every classic, gothic horror trait seems to map its way back to Tod Browning’s version of Dracula. The intonations and voice of Bela Lugosi is what many “know” Dracula sounds like – and considering ‘The Count’ from Sesame Street has been based on Lugosi’s portrayal, even children will recognise whose presence we are in. But influences are further afield too, as Van Helsing’s thick, circular glasses and hunched frame is echoed in Shutter Island in Max Von Sydow’s ‘Dr Naehring’. Special effects are a little out of date and, one would forgive you if you are forced to stifle a chuckle when the puppet bats and mechanical spiders move in jittery, unnatural ways – but the sets hold their own. Used in many more films, the scale of the first act is outstanding – the small size of Renford as he looks up the enormous staircase that Dracula sits atop; the tiny, dinky-car size of the horse and carriage as it rides towards the castle. These are effects that, even now, remain breath-taking. This is Part I of a Double-Bill screening with The Mummy… click here to read Part II of this review. The full review of the films are on Flickering Myth.